My Sore Neck, originally uploaded by thejesse. 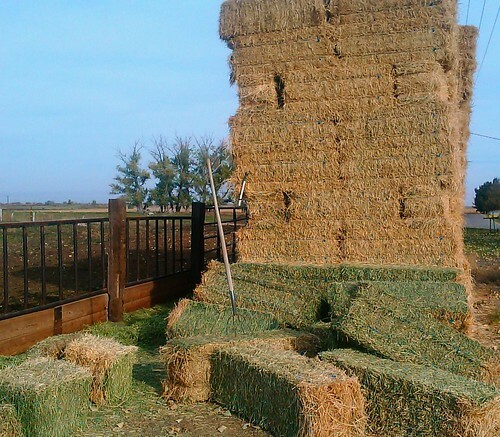 This is a stack of hay bales. The bales on the ground? Yeah, I was standing there when they fell. Took one of them to the side of the head. My neck is still stiff almost a week later.